Boil an egg, it would seem, will not be easy. However, it is not always possible to achieve the desired result. Sometimes, like boiled, but it turned out hard boiled and had a boiled egg, but the yolk is overcooked and has lost color. In order not to get unexpected results, you need to know how to boil an egg. Put the eggs in a saucepan of water, turn on the stove, a little time – and you're done. As it turned out, there are nuances here. To get the desired result, you should know a few simple rules. Firstly, it is impossible to boil eggs cold, i.e. immediately after removing from the refrigerator. If you put a cold egg into hot water, most likely, it'll be burst. Second, pay attention to the expiration date. 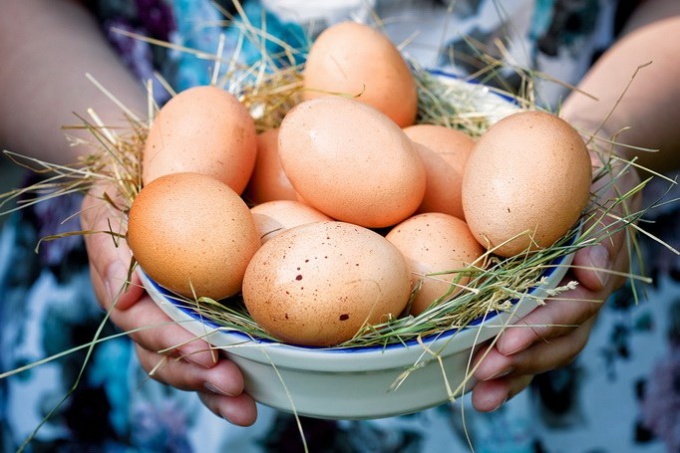 If the date of packing less than four days, boil eggs for three minutes longer. Thirdly, when cooking with the blunt end may be collected by the air. If air will gather many eggs can crack. To avoid this effect, pierce each egg with the blunt end. Pour the boiling water in a small bowl. Omit the eggs for with the help of tablespoon. Always try to use the timer, which will allow not to overcook the eggs and not leave them undercooked. Set it for a minute and cook in boiling water. Then remove the dish from the stove, cover and leave for 6 minutes so the yolk was hardened, and the protein remains liquid. If the preference is given completely frozen yolk, then hold them under the lid for another minute. Put the eggs in a saucepan, cover with water and put on the stove. Make a large flame initially, and decrease it only after boiling. To egg it turned semi-liquid, cook it 3 minite. In order to grasp only protein, and the yolk remained liquid, 4 minutes. Put the eggs in a saucepan and pour cold water so that it covers them by about a centimeter. As soon as the water boils, set a timer for 6 minutes if you prefer that the yolk remains a little watery. If you want the egg turned out to completely cool, then put the timer on 7 minutes. After cooking hold the eggs under running water for about a minute, then leave in cold water for another 2 minutes to let them cool completely. Put the eggs in cold water, wait until boiling and boil for 4 more minutes. The second option - put the eggs in already boiling water, boil a minute, turn off flame and soak in water for another 7 minutes. Useful to have soft-boiled eggs. However, it is increasingly possible to hear the recommendations that you need to boil and fry eggs as they contain Salmonella. Clean the egg so that it remains beautiful, also it may happen not always. There are some secrets. Before cleaning, the shell should "restorestate" over the entire surface, so brush will be much easier. Start cleaning you need with the large end and continue under cold running water to the whole shell in the cleaning process is washed away. Remember that if you cook the eggs that were packaged in just 4-5 days ago, be prepared for the fact that they will be cleaned bad. After cleaning, put the eggs under running water so as to prevent darkening of the yolk, then they need to cool completely. Also eggs would be pretty easy to clean if after cooking them in the shell to put on a few minutes in cold water. Then the shell will move away from the protein much easier. Whichever method of preparation was preferred, attention always should pay and at what looks like the ultimate dish. Use the tips and Bon appetit!